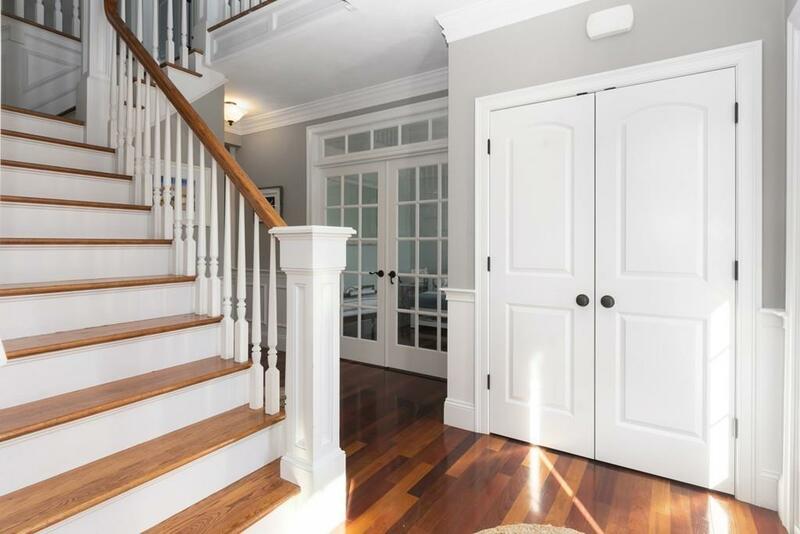 Perched at the end of a cul-de-sac on one of Scituates most centrally-located streets, this 4-bedroom, 3.5 bathroom home boasts three beautifully finished floors of living space. With gleaming Brazilian cherry hardwood floors, the main level makes you feel right at home. The open kitchen offers stainless steel appliances, thermador range oven and a stunning 10 ft granite island. With ample room for entertaining or a quiet afternoon in the cozy gas fireplaced living room. The master suite is any homeowners dream with his/hers closets, a separate shower/soaking tub and plenty of space within. Three additional bedrooms on the second floor have large closets and are flooded with natural light. Within its 3,800 square feet is a completely finished lower level that is bright, spacious and walks directly to the backyard. In a great neighborhood, close to all Scituate has to offer, this home hits all the high marks. Listing courtesy of Neagle Caffrey Team of William Raveis R.E. & Home Services. Disclosures All Measurements Are Approximate Buyer/Buyers Agent To Verify. Listing provided courtesy of Neagle Caffrey Team of William Raveis R.E. & Home Services.